Colleges and universities have increasingly worked to provide an international curriculum acknowledging that students must be prepared to deal with international issues in a globalized world. Study abroad programs provide students with opportunities to learn about cultural and linguistic systems outside the United States (US). While scholarship on learning outcomes associated with study abroad programs is emerging, inquiry into offerings that employ critical disability studies perspectives acknowledge power and intersectionality is absent. The inclusion of these frameworks provide opportunities to disrupt traditional, hegemonic, and ethnocentric understandings of knowledge and work to reflect the increasingly diverse demographics of college students. By examining the experiences of students on a short-term program to Brazil, the authors illustrate how disability studies, inclusive education, culturally relevant pedagogy and intersectionality address access, participation and learning outcomes to and about historically underrepresented groups. This chapter promotes intersectional teaching and learning strategies in the creation of postsecondary short-term study abroad programs for preservice teachers. Drawing from examples of a program visit to Brazil, the instructors disrupted hegemonic claims of knowledge and fostered cross-cultural ways of teaching and learning. Employing the principles of critical disability studies, ‘Universal Design for Learning’ (UDL) and democratic education, three main themes guided the program structure: (1) culturally relevant visits; (2) inclusive education; and (3) intersectionality. This work attempted to dismantle traditional, ethnocentric formats for study abroad programs and foster inclusive and reciprocal opportunities for the shared creation of knowledge. The authors draw from scholarship in the field of disability studies, culturally responsive teaching methods, and comparative education to inform their research and program design. 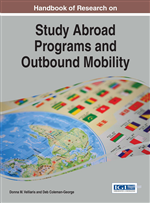 This work intended to challenge traditional admission practices for study abroad, account for diverse learners, engage in the diversification of participation in postsecondary curricular and co-curricular offerings and expose the preferences for able-bodied norms that are inherent in study abroad program formats. The inclusion of diverse participants, hosts, and site visits—while also accounting for ability diversity in the form of physical, social-emotional, sensory and language differences—enriched the learning and cross-cultural dialogues for participants. This work is especially important for emerging and future educators who are often not provided with opportunities to study abroad given their course sequences, field placements and student teaching schedules as examples. Disability Studies: A field of study and activism that challenges the social, political, educational and economic marginalization of persons labeled as disabled. Social Construction: The awareness that identities and concepts are the products of histories, values, norms, power relations rather than innate facts. Universal Design for Learning: The provision of instructional goals, methods, materials and assessments that can be customized and adjusted for diverse groups of learners. Privilege: A social system of unearned advantage. Ableism: The systemic preferring of norms and standards that marginalize persons who are labeled or identify as disabled. Intersectionality: The interconnected nature of identity categories that are relationally and socially constructed. Culturally Responsive Teaching: Instructional methods that embed and center diverse cultural practices, histories, knowledge and experiences within the curriculum. Inclusive Education: Educational settings that move beyond the facilitation of participation and consider ways to intellectually engage all learners.